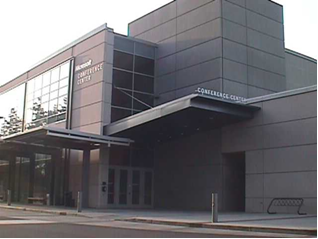 Due to significant growth in the need for modern group meeting and conference spaces and requirement for state-of-the-art presentation capabilities, Microsoft Corporation completed a $70M project called the Pinehurst Facility located on its Redmond, Washington campus. This facility included nine meeting rooms seating between 50 and 450 persons, ten executive briefing rooms seating 8, 18 or 50 persons, executive video conferencing rooms and the Microsoft Home 2.0. ACSI was engaged by the project architect to provide facility and systems planning and design services for all of the Pinehurst Facility audio/visual communications systems. 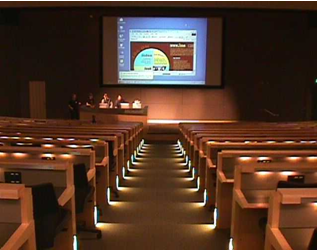 Designed as an extension of the Microsoft Studios, all of the meeting room A/V systems utilize the latest high intensity video projection technology to present computer-generated and real time video images, some with dual image capabilities. Each meeting room is also equipped with a multi-channel sound system of comparable quality and performance. A hybrid of analog and digital signal transmission means are used to inter-link all meeting rooms as well as with the campus and the studios. The audio/visual system for each Executive Briefing Center (EBC) room included dual image rear screen projection, multi-channel sound, NT-based remote control systems and fully redundant equipment for each room. All EBC technical operations are centralized in a data center containing over 400 servers with the ability to electronically assign any combination of servers to an EBC space, a fully independent monitoring capability and full interconnection capability to the campus and beyond. The Executive Video Conferencing Center was equipped with the latest technologies to implement “virtual meetings” with any standard video conferencing terminal in the world. All of the Pinehurst Facility spaces and systems were designed to accommodate the on-going technical evolution in computer and communications technology for many years to come. All systems were standards-based following the latest standards established by the IEEE, SMPTE, AES and CCITT. 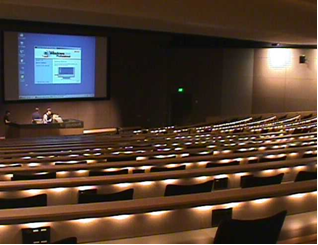 The dedication of over $10M of the project budget to the costs of the A/V systems demonstrates Microsoft’s commitment of effectively communicating with its customers, employees and guests.